Edward Snow of St. George, Utah, graduated on Friday, June 15, 1883, from Brigham Young Academy at Provo, Utah, in the high school Class of 1883. He graduated with a Bookkeeping certificate. Territorial Enquirer, Friday, June 15, 1883. Edward H. Snow received a Normal [teaching] diploma from BY Academy in the Collegiate Class of 1884, on Friday, June 13, 1884. Edward H. Snow received a "collegiate" diploma, one of only 3 awarded by BY Academy up to that time. It confirmed his high proficiency in General History, Political Science, Physical Geography, Higher Arithmetic, and Bookkeeping. Territorial Enquirer, Friday, June 13, 1884. 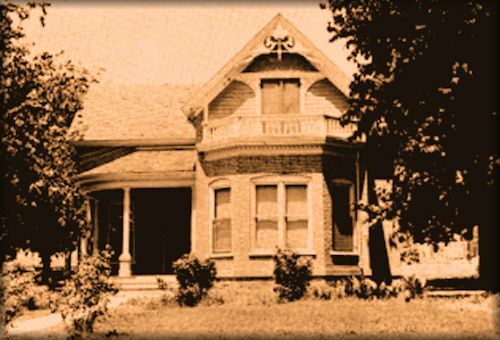 Edward Hunter Snow was born on June 23, 1865 in St. George, Utah, after his family had moved there from Salt Lake City. His parents were LDS Apostle Erastus Fairbanks Snow and Julia Josephine Spencer Snow. To put the year of Edward's birth in perspective, just a few weeks earlier on April 9, 1865, General Robert E. Lee had surrendered to Ulysses S. Grant at Appomattox Court House, effectively ending the American Civil War. Then on April 14, President Abraham Lincoln was shot while attending an evening performance at Ford's Theatre in Washington, D.C. In 1849 Edward's father, Erastus F. Snow, had been elected to serve on the committee to draft a Constitution for the State of Deseret, and later served on the Legislative Assembly for the Territory of Utah. His father had been called and ordained as a member of the Quorum of the Twelve on February 12, 1849. In October of 1849, Erastus Snow was called to lead a mission to Scandinavia. Later in the 1850s Snow served as the presiding LDS Church authority in the Mid-Western United States, using St. Louis as his base. He returned to Utah in 1857 and engaged in farming. In 1860 Elder Snow was called with Elder Orson Pratt on a mission to the Eastern States. By the time they reached the east, Abraham Lincoln had been elected president. 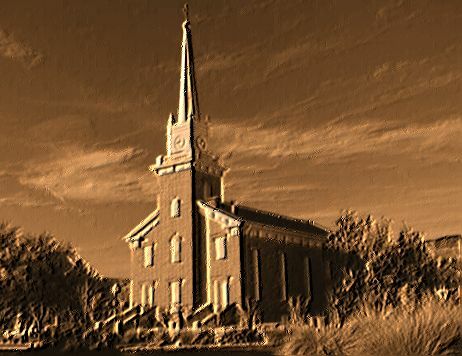 With a civil war impending, they were able to persuade many Church members who had stayed in the east, along with many recent converts, to move to Utah. Much of the migration happened in 1861, after the Civil War had begun. After returning to Utah in 1861, Elder Snow was called as the apostle in charge of the Southern Utah settlements. He led 309 families of early pioneers into this harsh and unforgiving land, and it was in the struggling Mormon settlement of St. George where Edward was born just four years later. How this small St. George outpost, which began as the heart of the LDS Church�s less-than-successful �Cotton Mission�, was ever able to grow into a thriving community, even becoming the spiritual and civic anchor to the southernmost region of Utah, required great sacrifices and vision, courage, talent and faith which most of us, in the comfort of our modern day life, may find it difficult to comprehend. �Of all the God-for-saken [sic] lands that any human beings were ever asked to carve a town out of, Dixie country was it. It was a hole bounded on the north by red sandstone cliffs, on the east and west by hills of black lava rock, and on the south by the muddiest, dirtiest river imaginable. The river meandered its muddy lazy course part of the year, and became a raging ferocious torrent, sweeping everything before it the rest of the time. Elder J. Golden Kimball, known for wrapping the truth in humor, later said, "I don't know how the people of St. George can stand the heat, the Indians, the snakes and the flooding Virgin River. If I had a house in St. George and a house in Hell, I'd rent out the one in St. George and move straight to Hell." Such a place of environmental extremes might have driven away almost anyone, and some of the early pioneers did leave. But not the Snows, and with them stayed a courageous band of other "first generation" families. The difficulty of living in this region bonded them together. They developed a tradition of deep loyalty and love of Dixie that continued in generation after generation of their families, even to the present day, and even in those who "temporarily" reside elsewhere but feel their heart and their home is still in Dixie. 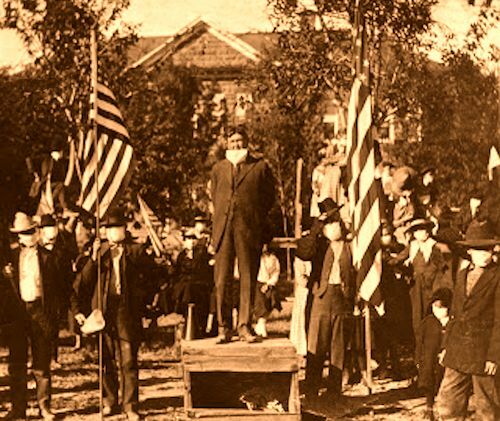 Men like Edward H. Snow, who could have prospered and excelled anywhere he chose to live, made the decision to live in Dixie. As a result of the grit, talent and tenacity of this second generation of pioneers, St. George slowly showed signs of "blossoming as the rose." 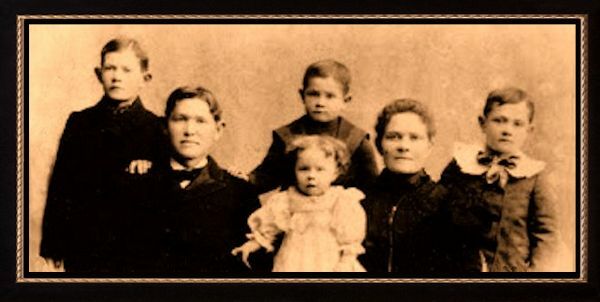 Edward H. Snow was one of six children born to the polygamous marriage of Apostle Erastus Snow and Julia Josephine Spencer, who became his fourth wife. The children included: Edward Hunter Snow, William Spencer Snow, Amelia Snow, Joseph Smith Snow, Mary Brown Snow, and Maud Rosamund Snow. Much of what we know about Edward's early years comes from an eight-page autobiographical sketch that Edward wrote in his later years. Edward grew up in somewhat paradoxical circumstances. His father, as an apostle in the LDS Church, was well respected in St. George and throughout the Church, but his son Edward was one of the children of his last wife. Therefore, they lived in the basement of the Snow family home they called �The Big House.� But Edward never complained about about this humble circumstance. Elder Erastus Snow's first wife, Artimesia, worked hard to make the entire Snow family a cohesive and loving one. She assumed the large responsibility keeping all the wives and children happy, much of the time during the absence of her husband who was traveling to complete his church duties. Edward had the privilege of meeting leaders in government and in the Church because of his father�s position. He personally met with President Brigham Young, Elder George A. Smith, Elder John Taylor, and General Thomas Kane, among others, when they visited St. George. While his father was a respected leader, the Snow family lived frugally. Edward described his life as being one with only bare necessities and few luxuries. The Snow family wore clothing made with rough textiles made at a factory in nearby Washington, Utah. They wore blue denim overalls and hats made from brown denim, which Edward did not like at all. One year Edward worked harvesting grapes in several local vineyards to save up enough money to buy a pair of shoes. As he grew, he apparently had his share of harum-scarum boyhood experiences, because his maternal Grandmother Spencer told his mother that, in her opinion, Edward surely would come to a bad end. He clearly proved his Grandmother wrong as an adult. Edward was given a lot of responsibility early in life. For example, at age 13 he drove his father�s team from St. George to Salt Lake City and back, a total distance of about six hundred miles, over dusty unpaved roads in temperatures fluctuating from boiling hot days to freezing nights. Education was very important to the Snow family, and Edward attended school of some type all through his childhood. At times the school was held in the home of a school teacher, but he also attended school in the St. George Tabernacle. During his teenage years, between 13 to 17, he was able to attend school only in the winter months because he was needed to work in the fields during planting and harvesting seasons. Sometime during these years a debating society was organized in St. George with the subject of study being the U.S. Constitution. Edward attended these debates and in later years, he said these debates led him to become interested and to participate in government. In 1882 at age 17, Edward traveled to Provo, Utah where he enrolled in Brigham Young Academy. He took some classes under Professor James E. Talmage, and Joseph M. Tanner, but he said his most inspiring teacher was Principal Karl G. Maeser. 1. Karl G. Maeser, Principal. 2. Mettie Southworth. 3. Nels Lars Nelson. 4. John Edge Booth. 5. Milton Henry Hardy. 6. Joseph Marion Tanner. 7. Benjamin Cluff, Jr. 8. Zina Young Williams Card. Hover cursor over photograph for identifications. Edward graduated from the high school program in 1883, then after another year's work he qualified as a teacher with a collegiate diploma in 1884. He taught classes at Brigham Young Academy during the 1884-85 academic year, temporarily replacing Professor Benjamin Cluff, who had contracted typhoid fever. 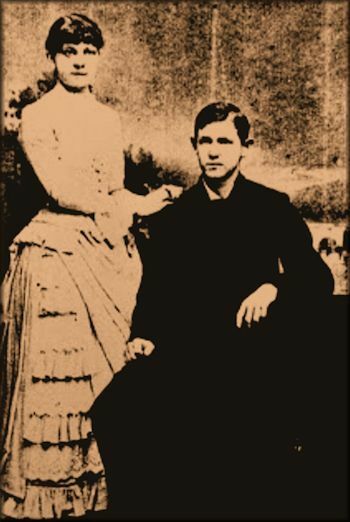 Edward at age 20 married Sarah Hannah Nelson on September 24, 1885 in St. George, Utah. She was known as "Hannah". Edward and Hannah had known each other for many years in St. George, and they had dated throughout their teens. Together Edward and Hannah eventually had four boys and three girls: Vernon, Dilworth, Karl, Rulon, Laura, Olive and Irma. The family lived in St. George so long as Edward�s other civic responsibilities did not require him to leave the area. 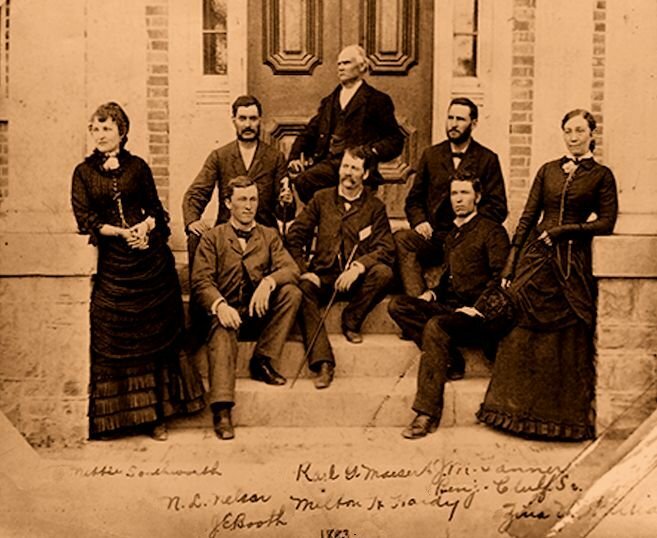 Edward was the telegraph operator who received the telegraphic bulletin to St. George in September 1890, announcing that LDS President Wilford Woodruff had declared the intentions of the LDS Church to obey the laws of anti-polygamy, in a document called the Manifesto. As the son of a polygamous marriage, Edward was surprised and shocked, but got used to the idea. The Manifesto cleared the way for Utah to gain statehood, an event that would begin Edward�s personal participation in government. In May 1895, the People's Party, the Mormon political organization, was dissolved and the members were urged to divide on national party lines. Edward became a Democrat along with several friends. Beloved "first generation" apostle Erastus F. Snow, his father, died in Salt Lake City in May 1888. Edward was unable to attend his father's funeral in Salt Lake City, but his mother, Julia Josephine, attended. We could not understand the full significance Utah's Dixie today without considering the singular life and truly remarkable contributions of "second generation" leader Edward H. Snow. In that generation Edward Snow is considered to be the principal leader of those who stayed on literally "through hell and high water" to bring educational, commercial, cultural and religious maturity to a setting that had seemed so hostile to all such hopes. As an educator, Edward opened his own school in Santa Clara, Utah, then taught school, then became the superintendent of county schools. Later on he chaired the county school board. Snow founded what became Dixie State University and, as a state senator, introduced legislation to establish what is now Southern Utah University in nearby Cedar City, Utah. As a church leader, Edward was devoted to service in the Church of Jesus Christ of Latter-day Saints. As one of the top spiritual leaders of the community he loved so much, he served as a youth leader, missionary, interim mission president, stake president and temple president. Establish a high school in St. George. Bring electricity to the town. Set up a water system for St. George. Get an ice plant to serve St. George. As a leader, he sought to reshape the LDS Church�s place in Utah � confining its influence to religious and cultural practices, and avoiding politics. In the field of business and commerce, Edward brought in the first telephone service to the area, founded a bank and a savings & loan association, started an ice business, established water companies with their bridges, canals and reclamation projects, and owned agricultural farms, mills and storage facilities. As a public servant, Edward served in the Utah State Senate, chaired the Utah State Tax Commission, and played a key role in modernizing Utah government as it matured into fully developed statehood. In November 1894, Edward was elected to represent the citizens in Southern Utah in the Utah Constitutional Convention in Salt Lake City. Edward said that before he reached Salt Lake, he studied constitution making �for all I was worth.� The convention lasted for sixty days. He was one of the younger members at age 29. Edward was placed on the committee to choose and name the standing committees. He served on the following committees: Legislative, Apportionment and Boundary, Education and School Lands, and Corporations. 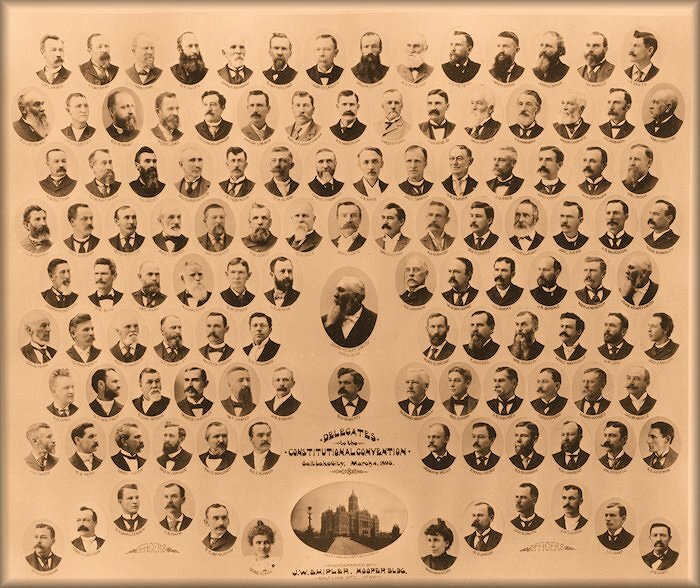 Karl G. Maeser, whom Edward had so admired during his schooling at Brigham Young Academy, was also a member of the Convention [on chart above, 6th row down, 3rd in from left]. He felt honored to work with such talented men. Edward asked to be placed on the Committee for Apportionment. He wanted to see that each county, no matter how small, had equal representation in the State Legislature. He thought his work on Legislative Apportionment for the state was his most valuable contribution. Another key issue was women�s suffrage. Utah was one of the first states to give women the right to vote in February 1870. After much debate, the Utah Constitution included a section that gave both men and women the right to vote. In the minutes of the Senate journal he is recorded as giving a strong voice in support of women's right to vote. Utah was granted statehood by President Grover Cleveland on January 4, 1896. Edward had gained many friends and much respect for his insightful work during the Constitutional Convention. This led him to be elected to serve as Senator in the first Utah State Legislature. Edward spent his time serving in the church and enjoying family life. He was called to serve a second mission for the LDS Church to the Eastern States and ended up serving as Mission President. His wife, Hannah, and baby Laura Snow were able to accompany him on this mission. They all returned home in April 1901. In June 1901, Edward was called as Stake President of the St. George Utah Stake. He would hold this position for twenty-five years until June 1925. Snow was often called on to make public speeches. At an Armistice Day gathering in 1918, he stood on a soapbox and without amplification, spoke through a mask. These masks were designed to stop the spread of the deadly influenza epidemic of 1918. All of those present on this patriotic occasion also wore masks. 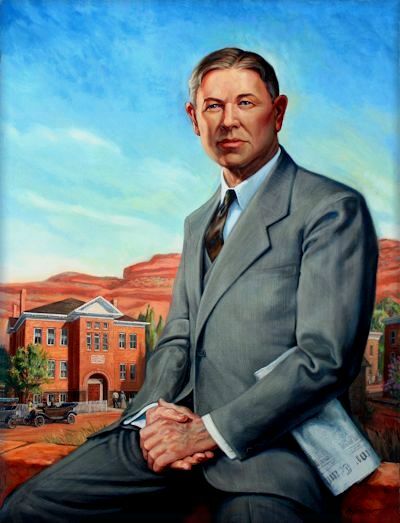 As the nineteenth century gave way to the twentieth, Edward H. Snow helped St. George in every way he could think of to evolve from an isolated cotton colony to an important commercial hub on the main automobile route from Salt Lake City to Los Angeles. More importantly, he was always proud to call St. George his home, and his pride was contagious. Edward H. Hunter died on July 18, 1932 in Salt Lake City, Utah. President Heber J. Grant, personal friend and confidant, spoke at Edward�s funeral service in the Assembly Hall on Temple Square in Salt Lake City. According to his wishes, Edward�s body was returned for burial in the red sand of his beloved St. George. In the 1960s, a new Dixie College campus was opened in the southeast corner of the city. In 2005, enrollment at the college reached approximately 8,400 students. It was then a four-year institution named Dixie State College. In 2013 the Utah Legislature changed the status of the institution from a college to a university and named it Dixie State University. The leaders of Dixie State University and others recognized this as the fulfillment of the dream of the original Mormon pioneers of the area to have a university serving the young people of their communities. Academic staff currently stands at 435, and student enrollment is approximately 9,000. In 1950 the population of St. George was 4,562. The city experienced slow growth until the 1990s, when it jumped to 28,500. By 2012, St. George's population reached 75,561. A large part of the local economy comes from tourism, since St. George is located in proximity to Zion National Park, Bryce Canyon National Park, Grand Canyon National Park as well as several beautiful state parks and recreational areas. First President of Dixie College.